The Asia-Pacific Trade and Investment Report is an annual publication prepared by staff of the Trade and Investment Division as a full in-house publication. The Report replaces the Asia-Pacific Trade and Investment Review with its first issue in 2009. 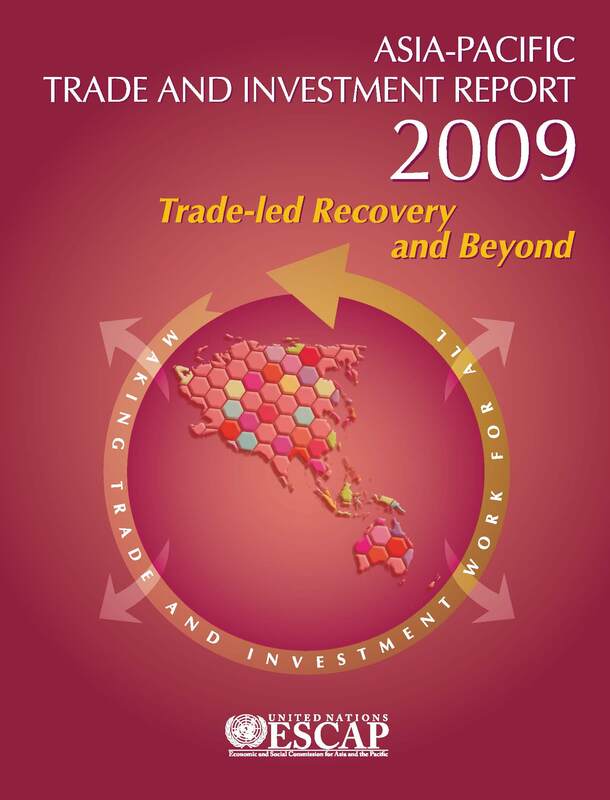 The theme of APTIR 2009 is: "trade-led recovery and beyond". This issue analyses the impact of the global economic crisis on trade and investment flows in and to the region and implications for trade policy. It provides a conceptual framework for trade policy which should contribute to achieving inclusive and sustainable development. It makes a case for the multilateral trading system as the prime international trade governance system and gives an overview of the latest developments in the Doha Round. This issue of the Report also calls for an expansion of intraregional trade and deeper regional integration for that purpose and discusses the role of regional trade agreements in that regard. The Report also emphasizes the role of trade facilitation and needs for trade finance and explores issues related to business survival and development in time of crisis and beyond, including the development of regional value chains and the need for business to adopt principles related to corporate social responsibility.